It was an odd encounter. I am not sure why. I didn't intend to make it odd, but my mouth got ahead of my mind. What was meant to come out as, "Wow! You are so talented…" rolled out as, "What do you think you are being led to do in life?" As if she wasn't already doing enough. As if God wasn't already using her. As if there was more to life than the moment she was currently in. The second my question made its weird appearance, I wanted to withdraw it. I wanted to grab it and stuff it back into my mouth because I could see what it was producing: a seat-shifting sense that she should be doing more. That where God planted her feet today wasn’t good enough. Yet, where she was -- was entirely good enough. In fact, I was very much struck by the individual. And although I'd just met her minutes ago (another reason my mouth should have shushed it), I knew her wisdom and insight would have an impact on my life, as it has with so many others. I left the gathering. On the way home, all I could think was: She thinks I am an oddball. I came off as prideful. She feels put down...not used enough...like she should have some greater mission...all because of my fast track mouth. My hands clenched the car seat. My ears tuned out my husband and my embarrassment stuck on me like icky glue. It kept on bothering me -- for days. Yet, something hit me as I wrote this story down, after seeing it in black and white. What if the big deal I made about my words was really only a small deal to her? And what if her shifting around was only because she was bound to a clock and needed to start the meeting? What if her short response was only because she was thinking about what she needed to do next? What if I read into things? And what if her words were far less about me, because she was already on to the next thing? What if she just thought I was a new person who seemed nice, who she is interested in getting to know as well? How many times do we personalize predicaments and let them name us poorly? How many times do we let the enemy declare us bad when God is trying to set up a good friendship? How many times do we see our failings when others aren't seeing that at all? That night at the prayer gathering, I lost my prayer mojo because I kept thinking I injured her. I lost the chance to plead for, impact and change the hurting lives of others because I was caught up in my own mind-story. I lost God's better plan. When we personalize issues that really are not personal, we always lose God. We let our feet venture off his track and we head down some windy road with the goal of making man love us. We divert love. We walk away from Him who is love. "Am I now trying to win the approval of human beings, or of God? Or am I trying to please people? 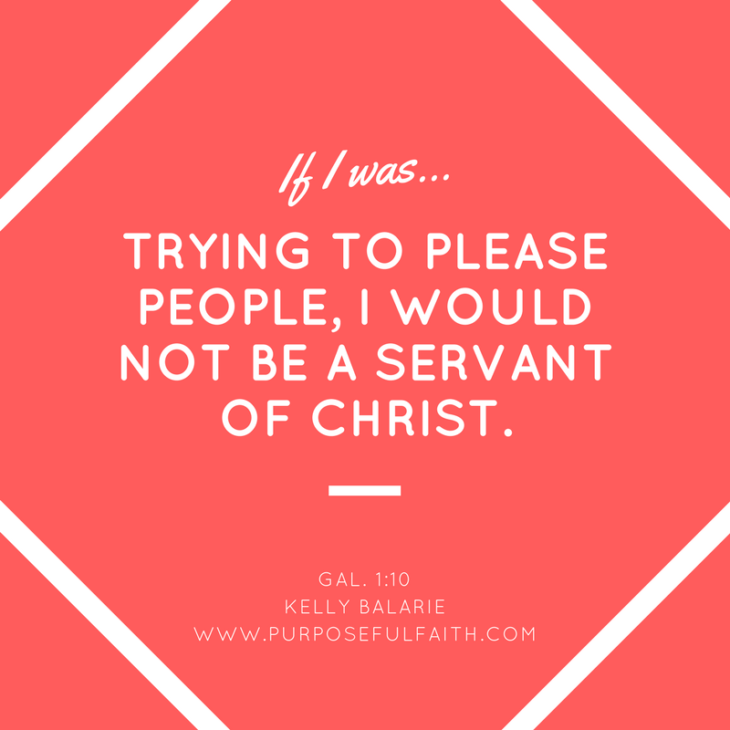 If I were still trying to please people, I would not be a servant of Christ (Gal. 1:10)." Get Kelly's short daily blog post by email - click here. Join the 4 Days to Fearless Email Challenge. 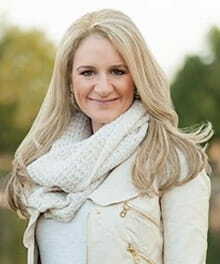 Or, book Kelly to speak at your next women's event or conference.